Cook the mangoes in 2 cups of water until it is tender. When it is cool with a hand blender grind it to a smooth paste. Pass it though a cheese cloth. Discard the pulp but keep the liquid. 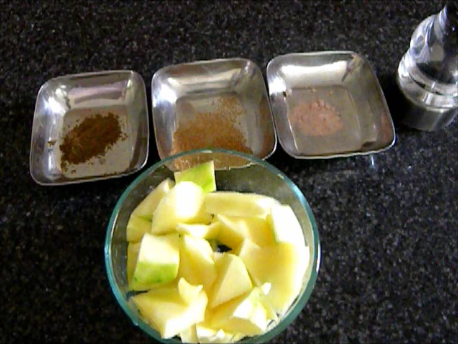 To the green mango liquid add 2 cups of water, mix add black salt, sugar, roasted cumin powder, crushed black pepper mix and pour it into a glass with with ice and serve. Serves 2.